What is the best GTX 1660 for 2019? Nvidia’s latest budget GPU is billed as a competitor for AMD’s budget king, the RX 580. 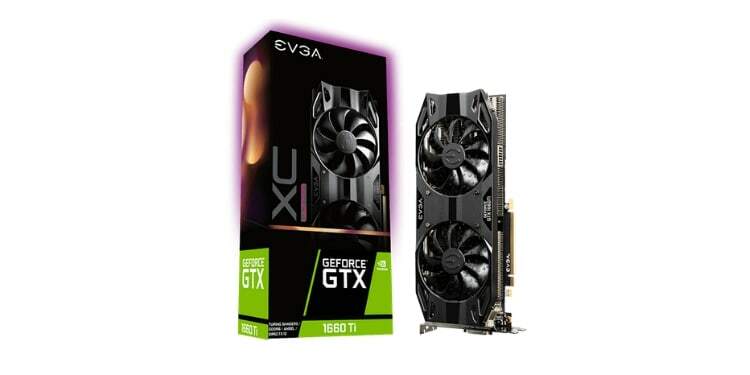 Built on the same Nvidia Turing architecture that the recent RTX line of cards are built around, the GeForce GTX 1660 more than succeeds as a competitor in this price range. If you want excellent 1080p gaming and strong VR/1440p gaming, then the GTX 1660 may just be the right card for you. But what’s the best GTX 1660? If you are unfamiliar with GPU specs or how the GTX 1660 performs, feel free to scroll past our GTX 1660 reviews and peruse the buying guide. We’ll fill you in on all you need to know there. If you haven’t skipped ahead, though…let’s get into it! Note: The GTX 1660’s MSRP starts at $219, and every card in this article is at least $10 higher than this. We did this because this is a best of, and that extra $10 is usually well worth the money! How does the GTX 1660 perform? How does the GTX 1660 compare to the RX 580 and 590? How do length and width matter? What does clock speed change? First up on our list is the ZOTAC Gaming GTX 1660. The main benefit this card offers over the others on this list is its much smaller size, which means it should more easily fit into most PC builds. This applies especially to Mini ITX and Micro ATX cases, where shorter GPUs are typically necessary for anything resembling a good building experience. If you’re building an SFF PC build on a budget, then the Zotac GTX 1660 is definitely the right card for you. This does come with a few compromises, though. The main downside here is a lower clock speed, though this comes with the territory of smaller GPUs. Since you don’t have as much cooler to work with, you likely won’t be able to push user-end overclocking very far, either, though investing in better case airflow may alleviate this problem slightly. Don’t let that downside turn you away if you’re building in a small chassis, though: this is still one of your best options in the sub-$300 price range. Lower factory OC notwithstanding, this should still perform as a GTX 1660 should, which means superb 1080p and strong 1440p/VR performance. If you do have the room to spare, take a look at our other picks. 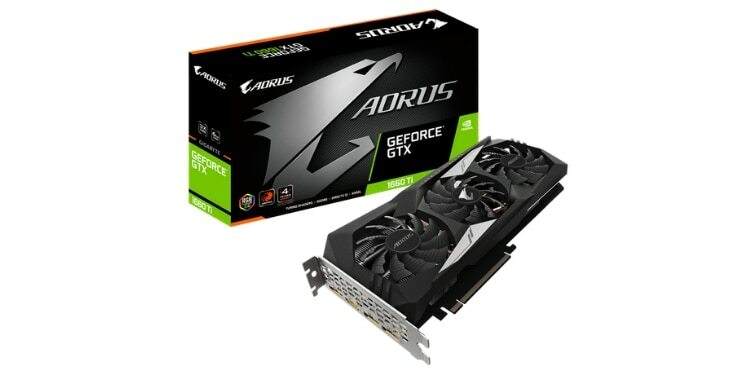 On the opposite end of the spectrum from our previous card, Gigabyte’s Windforce AORUS GTX 1660 is the largest GTX 1660. At a whopping 280mm (that’s just over 11 inches), this card will definitely be challenging to stuff into any Micro ATX or Mini ITX tower. Even a few ATX cases with aggressive drive bays might prove a little challenging for this one. We’ll admit: that isn’t the greatest news. But if your case can fit this GPU, it’s easily one of your best options. It, along with our RGB pick, has the highest out-of-box factory overclock. Its large size and excellent cooler design mean you should be able to push that even farther as a user, though obviously, you’ll want good airflow to make the most of that potential. It seems to stay at MSRP, too, which is nice. It even has RGB! ...sort of... it’s only for the Gigabyte logo. It’s not all that flashy, to be honest. The EVGA XC Ultra GTX 1660 is our pick for best balanced GTX 1660. “Best balanced?” Some of you may be muttering to yourself, “What does that even mean?” Great question, hypothetical human! By “balanced”, I mean balanced in terms of pricing, features, length, and cooling. In terms of price, this card is another bump over MSRP compared to our cheaper picks, but in return, you get EVGA’s excellent cooler design and overclocking-friendly design. You also get a DVI port, which is great for many PC users who are still using DVI with their displays. The size is a little bit longer than your average GPU, but in return you get better cooling capability. The factory OC is relatively modest here, but we’ve seen it pushed much farther than this online, and we’re confident that with good chassis airflow you’ll be able to push it even farther. Also, EVGA customer support is the best in the business when it comes to GPUs. That by itself helps raise this card a little bit above the rest of the competition. Last but not least is our “aesthetic” pick, the MSI Gaming GTX 1660. What makes it “Gaming”? The RGB lights around the fans and in the logo, of course! This card is for users who want a GTX 1660, but also want to flex a little bit with extra visual flair. 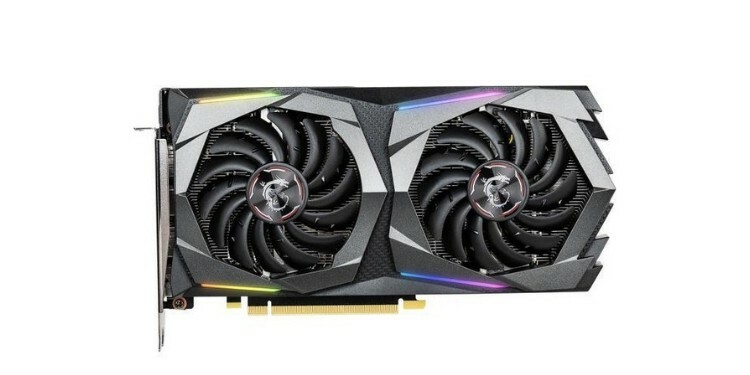 It is not the most rational purchase, since its price lines up with the starting MSRP of the GTX 1660 Ti, but if you were in the market for an RGB version of that, it’d also be much more expensive. The market segment this card targets is just a little different than your typical performance junkies. Performance junkies will likely be satisfied, though! This card also has the highest factory overclock that a GTX 1660 seems to be capable of achieving, boasting a meaty 1860 MHz. While the cooler design does raise the question of just how far this card can be overclocked, we generally trust MSI to put out a card that can be respectably overclocked by the end user. If saving money isn’t your top concern and you want to spend extra for visual flair, this is a very good graphics card. If you want the best bang for your buck, though, you may want to consider one of the picks listed above. If you had trouble breaking down all the specs and jargon presented earlier, don’t worry: we’ll help you understand just what we’re talking about in this buying guide section of the article. If you still have any lingering questions after finishing the buying guide, feel free to leave a comment and we’ll help you as quickly as we can. The GTX 1660 is built for superb 1080p gaming in even the most testing scenarios, as well as strong 1440p and VR performance. Compared to modern consoles and their tendency to play at 900p/1080p and 30 FPS, the 1660 can very regularly push a native 1080p or 1440p at 60 FPS, with the added benefit of higher visual settings. This puts it in a league well above that of any console, even something like the PS4 Pro. For a more detailed breakdown of how the GTX 1660 performs in the most strenuous scenarios, look above to see Digital Foundry’s benchmarks. These are worst-case scenarios, mind, using the highest graphics settings in the most strenuous modern games. With intelligent settings adjustments, 1440p gaming is very possible. Running at stock clocks, the GTX 1660 decimates– we’re looking at a roughly 15% performance increase– the RX 580 and is often available for the same price. While the 1660 doesn’t have that stellar AMD Game Bundle going for it, that game bundle is also going to expire by the end of April 2019, at which point a significant price drop will be needed for the RX 580 to stay competitive. The RX 590, meanwhile, pretty much performs the same as the GTX 1660… but the 1660 is also much cheaper, with an MSRP of $220 versus the 590’s MSRP of $280 (which pushes the 590 up into the 1660 Ti price range). This price range sees a hard win in Nvidia’s favor, though AMD dominated here for a very long time. Length and width are the physical measurements of the card you’re getting. 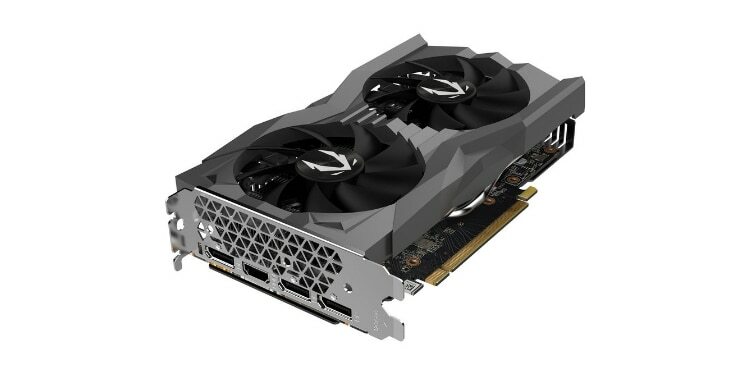 Not every GTX 1660 will be the same shape and size– each manufacturer is going to have a different length, width, and cooler design for their card. Longer length and width will generally mean better cooling and overclocks, but at the expense of taking up more room in your case. (Perhaps to the point of not fitting if you’re placing it into a Micro ATX or Mini ITX tower.) Smaller dimensions mean the card will fit better in more cases, but may not have the cooling capacity to be pushed to higher overclocks. The most important of the two measurements is length. Width counts the number of PCI slots the card takes up, which shouldn’t ever be a problem for the majority of users. Length will better determine how it actually fits in your chassis, though, and this is where you’ll want to check against your case’s specs to be sure. Clock speed doesn’t really work as a way to measure speed across different GPU architectures, but as a way to measure speed across the same version of a different GPU… it works mostly as intended. Most of the cards in this list are shipping with their own factory overclocks– the higher the factory overclock, the higher the out-of-box performance you can expect to receive from this card. If you want to know more about this, then we actually have an article all about overclocking that you can read. HDMI – The most common standard for HDTVs and modern monitors. DisplayPort – A more monitor-centric standard, especially for 1440p+ and 144 Hz displays. USB-C – Used with certain VR headset configurations and compatible displays. If you somehow don’t have any of these connectors for your display, don’t worry. DVI to HDMI connectors exist for exactly that reason.